When I told Tom I’d write something for him, I said it would be about daft things people said to me about HIV at the party political conferences. But then I thought, why pick on politicians? (Okay, I admit my second thought was, why not?) There are plenty of other people out there who ought to know more about HIV than they do – including doctors and dentists, teachers, big employers, the police. Ignorance about HIV and consequent complacency is rife. The fact is, most people don’t hear much about HIV these days. It’s hardly mentioned at school. It isn’t brought up much in polite conversation. If you’re not a fan of Hollyoaks you won’t have seen much about it on TV this decade – and if you get all your information from soaps, bless them, it won’t be much better, since in soapland only young white heterosexuals seem to get HIV. Some do in real life too, of course, but it’s hardly the whole picture. I spent a lot of energy trying to persuade Eastenders to at least make Mark Fowler’s positive girlfriend African. But the thing is, you can’t blame people for being ignorant (well, maybe the gay man above, but that’s another rant for another time). There’s little public talk about HIV and people aren’t encouraged to find out. And people are embarrassed to ask, even when they have burning questions, in case they look bad; just like they don’t like to ask people of a different ethnicity, or gender identity, about those issues. We should be encouraging dialogue and telling people there’s no such thing as a daft question; giving them permission to ask. So this year, for World AIDS Day, that’s exactly what Terrence Higgins Trust is going to do. December 1st gives us a platform to speak directly to the public about the reality of living with HIV, to raise awareness and demolish myths and misconceptions. If you’re living with HIV, you can help by filling out a short survey on your views and experiences here. It’s totally anonymous, although – if you’d like to take a more active role in speaking to the media – there are details on how to do that too. It’s time attitudes changed, and we know people with HIV have a central role to play in bringing that change about. 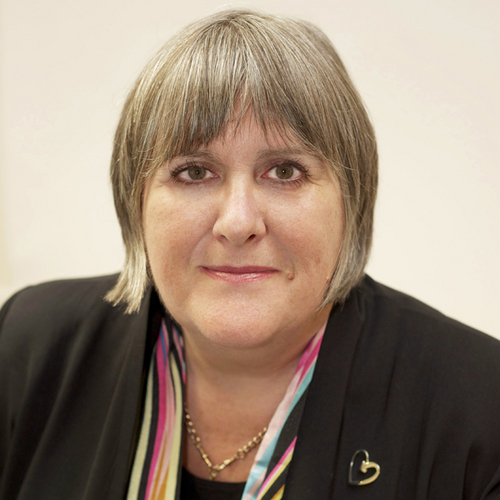 Lisa Power MBE is the Policy Director at the Terrence Higgins Trust, the UK’s largest HIV and Sexual Health charity.